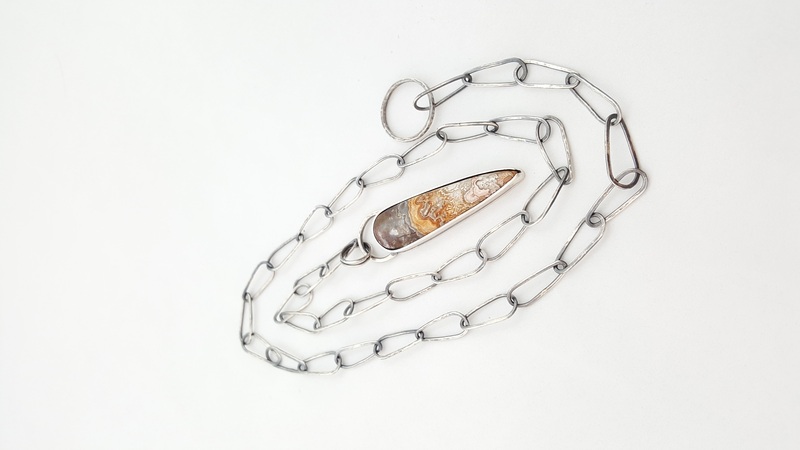 The dramatic shape of this Crazy Lace agate is reflected in the shape of the links in the handmade chain. 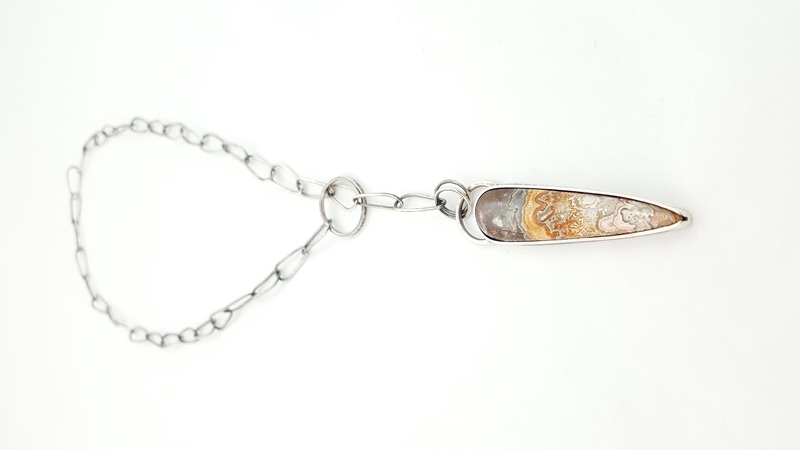 The long length of the chain accentuates the elongated shape of the stone, making it a striking focal point. The color and the figure of the stone reminds me of the geological strata of the earth I see driving the highways here in Alaska. They cut through the mountains, exposing a visible record of the forces that have shaped the North through the millennia.